One of the most popular destinations for American expats is Australia. Australia has it all: modern cities, a strong economy, high quality of life, beautiful beaches, warm and friendly people, and a marine lover’s paradise. Anyone who enjoys an outdoor lifestyle or finds it interesting to live on the other side of the world, should definitely visit Australia. The climate in Australia is classified as tropical and temperate. Since this island continent is very close to the equator, the northern part of Australia falls into the tropical zone and the southern end the temperate zone. The tropical states have warm temperatures year round. During the winter time (June to September), the temperatures drop to about 68 degrees, with most temperatures in the 70’s. In the summer time, the northern states experience wet and hot weather that has temperatures in the 90’s or higher. Winter in the southern states is cooler than the north, and has temperatures as cold as the upper 50’s. However, temperatures still get warm and can get as high as the middle 70’s even during the dead of winter. Summertime in the southern states is very warm and dry. It can snow in the southern states and there are even ski fields there. However, it only snows about once every ten years and mostly in the Great Dividing Range. The water surrounding Australia is warm and perfect for surfing. For those that love marine life, Australia is home to the Great Barrier Reef which offers perhaps the best natural coral reef complex in the world. Australia is a modern, thriving democracy. Tourists or Australian residents will find services and infrastructure similar to those in the US and Europe. An American can stay in Australia for up to 3 months without a visa as only a passport is required. If you are interested in becoming a resident of Australia the process is generally straightforward. It is highly likely that most American expats will be accepted. Having a decent education or a professional skill increases this possibility even more. More information about visas and residency requirements can be found at National Visas and the Australian Electronic Travel Authority. You can also contact the Embassy of Australia to the United States of America. Australia has high tax rates. For instance, the individual income tax in Australia can be as high as 47%. There is a moderate corporate income tax of 30%. There is also a Value Added Tax (VAT), a fuel tax, and a tax on insurance contracts. Australia’s medical care and facilities are on par with the United States and Western Europe. Health insurance is usually easy to obtain, especially if working for a company. An entrepreneur can also acquire medical insurance easily, and for farless than in the United States. Tourists should purchase travelers’ insurance with a medical component to ensure coverage while in Australia. Buying and investing in real estate in Australia is fairly straightforward and low risk. However, a buyer/investor should retain a real estate attorney. Prices vary just as they do in the United States. The cost of real estate depends on location and type of property. Prices of single family homes range from about US$100K and up. However, there are single family homes at bargain prices and condos and apartments cost less. Desirable real estate prices are similar to those in Europe and America. Rental properties cost as much as they do in the US, with rents ranging between US$600 and US$1,500. Renting property is straightforward and a security deposit or a few months rent is usually required in advance. There are plenty of shopping choices in Australia, especially in the major cities. Although many American brands are not sold in Australia, the basics can be found with ease. Luxury goods are widely available and most luxury boutiques are located in the larger cities. Australia is a huge country, so some services and goods are quite limited in less populated areas. Many of Australia’s major cities have world class entertainment. Australia is perhaps the best place in the world to live if one enjoys nature and marine life. Australia’s cost of living is similar to the United States’. While some things are very affordable, others such as taxes can drain one’s income. Australia’s currency is the Australian Dollar. It is not as strong as the US dollar, which is great for American expats who receive their income from the states. It is not difficult to get by on a small budget. A good job or large savings can make Australia a wonderful place to live, as it offers so much in terms of entertainment and nature. 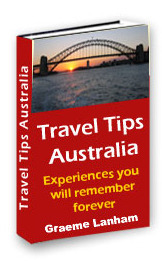 Country guide to Australia from ExpatForum.com. Australia is far away from almost everywhere. My first visit to Australia involved a series of flights from Eindhoven to Sydney which lasted over 40 hours and propelled me eight timezones forward. I left on Saturday morning and arrived on Monday morning at about the same time. My recommendation is to check with Flights to Sydney to see if you can arrange a direct flight — or maybe a flight with only one stop. The laws governing extradition between Australia and the United States of America are defined in the Treaty of Extradition between the United States of America and Australia and the Protocol Amending the 1974 Extradition Treaty with Australia.